Kentucky Oaks 2016 Contenders Update: For one more week, Land Over Sea tops the Kentucky Oaks Point Standings. Once Songbird wins this weekend in the Santa Anita Oaks, the leader will change. The official list for the Kentucky Oaks is extensive, but realistically, the dominance of Songbird and Cathryn Sophia may discourage a full field from happening. Note: Polar River owns 50 qualifying points, but the connections show no indication of making the trip overseas. Therefore, she does not appear on this list. 2. Go Maggie Go (100): On whether she goes to the Oaks, trainer Dale Romans said in a press release, “I would think so. We’ll train her and if she’s training good and doing good like she was going into this, that’s the key. 3. 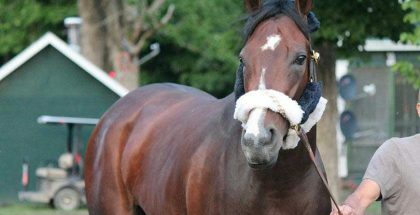 Songbird (90): Songbird will run in the Santa Anita Oaks on Saturday. In preparation, the star filly schooled in the paddock yesterday. 4. Cathryn Sophia (60): She worked four furlongs in 48.20 seconds at Keeneland last Sunday. The Ashland at Keeneland this weekend will be a major test from a competition and distance standpoint. 5. Venus Valentine (50): On Wednesday, the Rachel Alexandra Stakes winner worked four furlongs in 48.80 at Churchill Downs. Will trainer Tom Amoss take a shot at the Oaks? 6. Terra Promessa (50): The Steve Asmussen-trained filly will compete in the Fantasy Stakes tomorrow at Oaklawn Park. Last Sunday, she breezed four furlongs in 50.80. 7. Mo d’Amour (50): She worked four furlongs in 48.75 last Saturday at Belmont Park for trainer Todd Pletcher and will compete in the Gazelle Stakes at Aqueduct tomorrow. 8. Wonderment (50): According to a Courier-Journal article, the Bourbonette Stakes winner is not certain to compete in the Kentucky Oaks. 9. 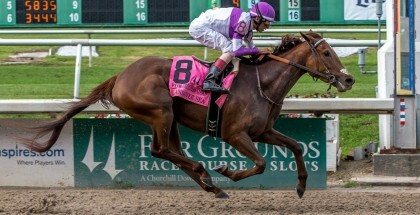 Dream Dance (44): Little information exists about her online, but according to Equibase, there are no official workouts since her runner-up finish in the Fair Grounds. 10. Paola Queen (40): Not many writers are reporting about this filly as well. 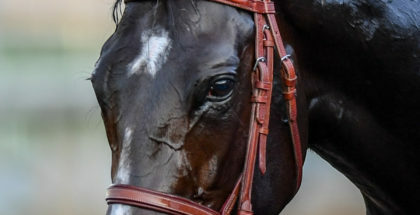 With such high-quality horses entering the Kentucky Oaks, the connections face a tough decision on whether the Oaks fits her. 11. Nickname (36): She worked five furlongs in a bullet 1:00.40 at Keeneland on Tuesday. Again, it will be a tough decision for the connections on whether she belongs in the Oaks. 12. Lewis Bay (30): The Chad Brown-trained filly worked four furlongs in 50.10 seconds last Saturday. She will compete in the Gazelle tomorrow. 13. Midnight On Oconee (24): The seventh-place finisher in the Fair Grounds Oaks shows no recorded workouts since then. If this one makes the Kentucky Oaks, she will need to start tuning up soon. 14. Dreams to Reality (21): After breezing four furlongs in 48.48 seconds at Belmont Park last Sunday, she looks set to compete in the Gazelle. The race should give the connections clues on whether the Oaks is the right fit.